“Go! 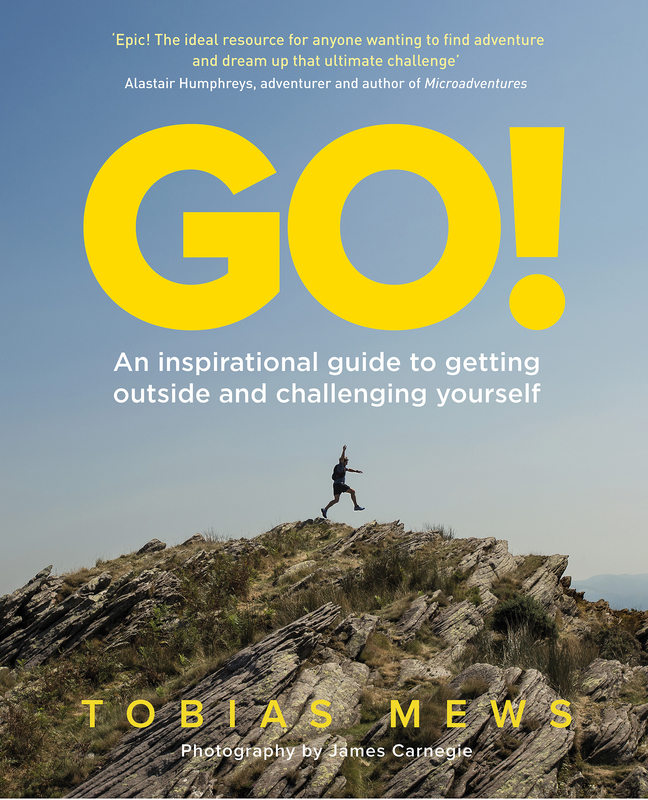 An inspirational guide to getting outside and challenging yourself“. I wondered what to expect when I delved in to the tome. I had a brief flick through when I got home late one night. 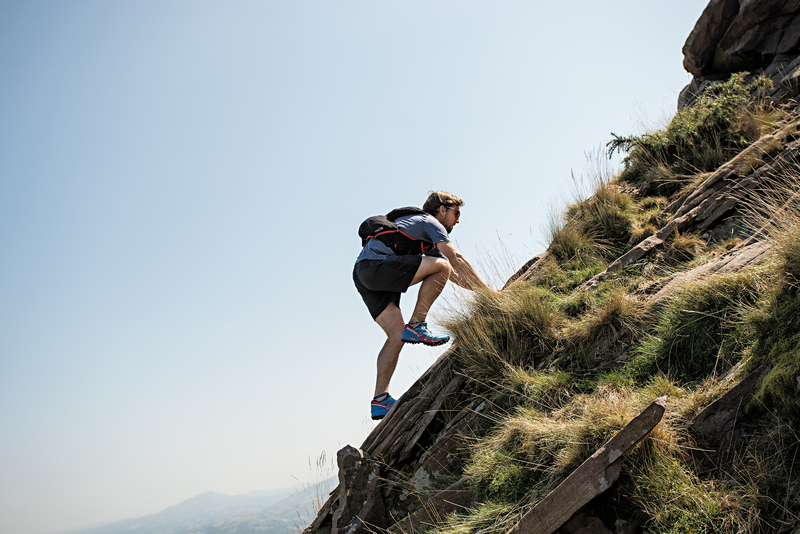 It is a reassuringly heavy and beautiful book with lots of lovely pictures – and more importantly some great ideas for new running adventures. My eyes were drawn to a couple of pages as I flicked through. 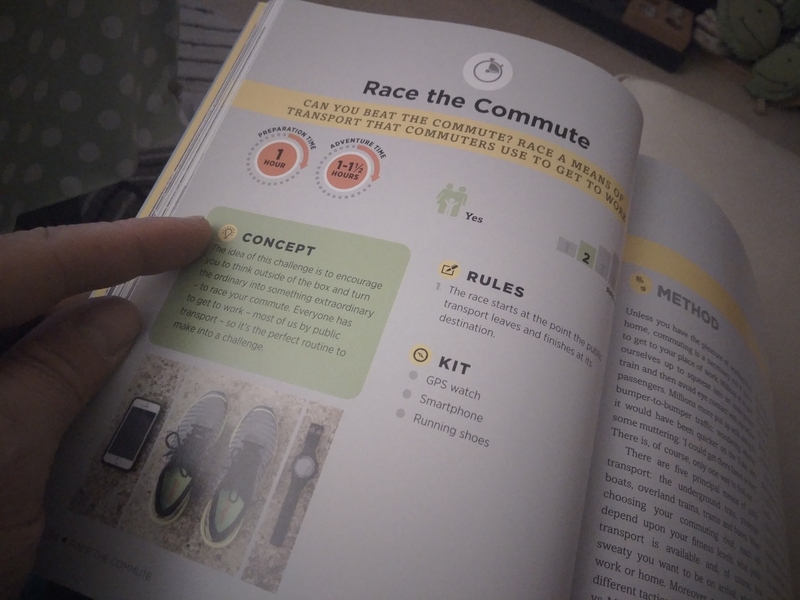 “Race the Commute” sounded intriguing – and looks like a play on the race the train race. It was no lazy replica, Tobias suggests other forms of public transport – such as the Thames Clipper service (which runs with a timetabled service along the river in London). As a frequent runcommuter – this sounds like something that could add a bit of zazz to my usual route. He gives an example of running from Putney to Blackfriars – a 6.6 mile route – 44 minutes. Of course, I couldn’t do that kind of pace, but it just an example. Another one is “Peak to Peak” which is tagged with “create a running route that connects prominent high points”. This is a little like the Bob Graham Round in the Lake District but can be adapted for urban areas or lovely bits of countryside. 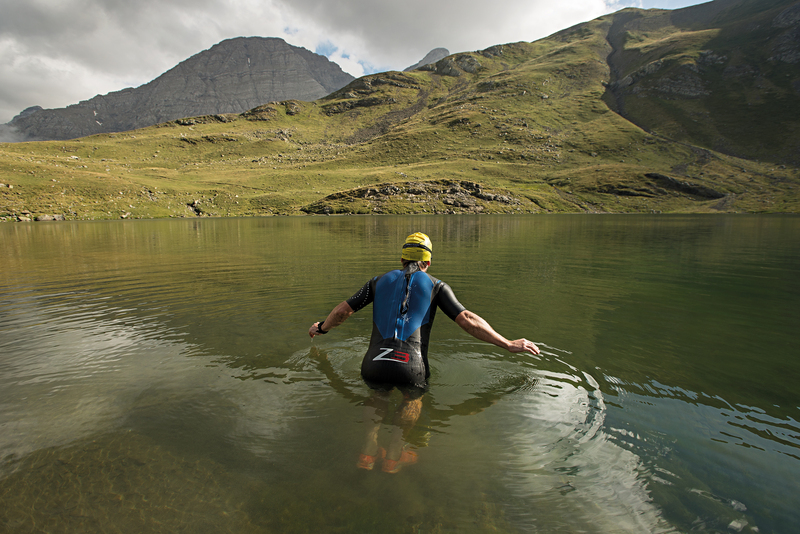 The idea simple is to find the highest points in the area and run between all of the “peaks” and end up back at your starting point. The few pages devoted to this showed some lovely photos of beautiful hilly lushness with Tobias picking his way through craggy rocks. I noticed a couple of runs that I had done already – the “nohtaraM ehT” – which is the London Marathon route in reverse (check out my blog post about that) and the “Monopoly Marathon” which involves running around London landmarks with a set of dice 🙂 (I did that in 2015 – and it was a blast). How the book is organised. The book is divided into three main sections “Midweek madness” – I mean, silliness doesn’t have to wait until the weekend right? “Wacky weekends” – which involves some clearly fun and slightly bonkers adventures that you just couldn’t do in a spare couple of hours. The final category is “Long Term Burners” which take much longer or can be done over a prolonged period of time. Each of the challenges has a difficulty rating, a preparation time estimate, an estimate of how long it should take. 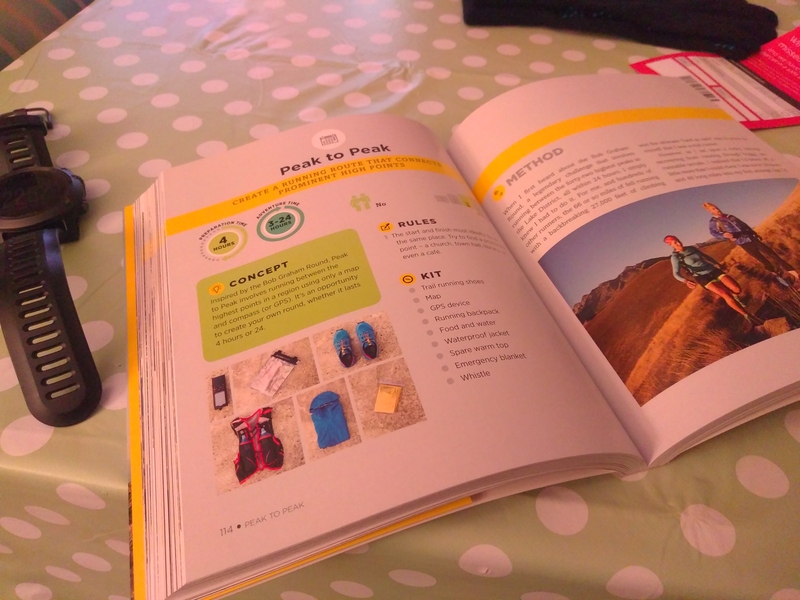 Alongside that, pictures and list of essential kit (sometimes smartphone, sometimes dice, sometimes backpack and gps watch) as well as a couple of “rules” along with a longer description of how to go about putting together the challenge. The book is kind of a beautiful combination of a baking recipes, with a book of party games, and a book about running. I don’t know about you, but that does it for me!! Check out my twitter feed for a competition to win one of two copies of this brilliant book. Simply follow @donealready and retweet for a chance of winning a copy. #giveaway closes at midnight on 17 April 2017.